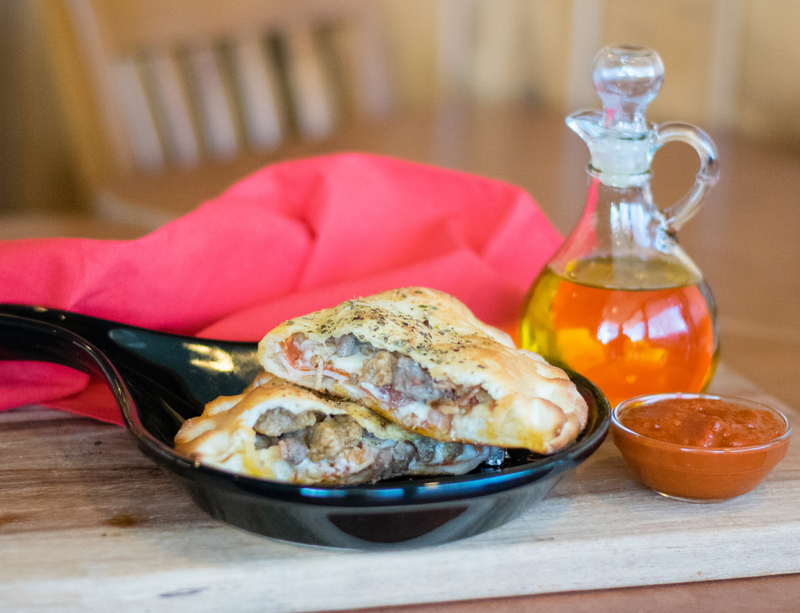 This is your favorite Five Meat pizza toppings but in a Calzone! We hand pound our traditional pizza dough and brush it with our White Garlic Sauce. Then, we top it with Mozzarella, Pepperoni, Sausage, Canadian Bacon, Hamburger, and Bacon. Finally, it’s sealed then brush with garlic butter and baked to perfection. Served with a side of our red sauce.